Glow-in-the-dark stars twinkling inside his childhood bedroom and science fiction books in his lap, Shayan Shirshekar grew up like most kids fascinated by space. When he was old enough to say what he wanted to be when he was older, his answer was always immediate: an astronaut. But that distance is important when it comes to the stringent U.S. regulations that govern the space industry. It’s the roadblock in front of Shirshekar and other international students who come to this country to study space only to find that they’ll be hard-pressed to secure jobs when they graduate. A year and a half from graduation, despite good grades and a job at the Aldrin Space Institute, which is run by second-man-on-the-moon Buzz Aldrin’s son Andy Aldrin, Shirshekar has no job prospects. 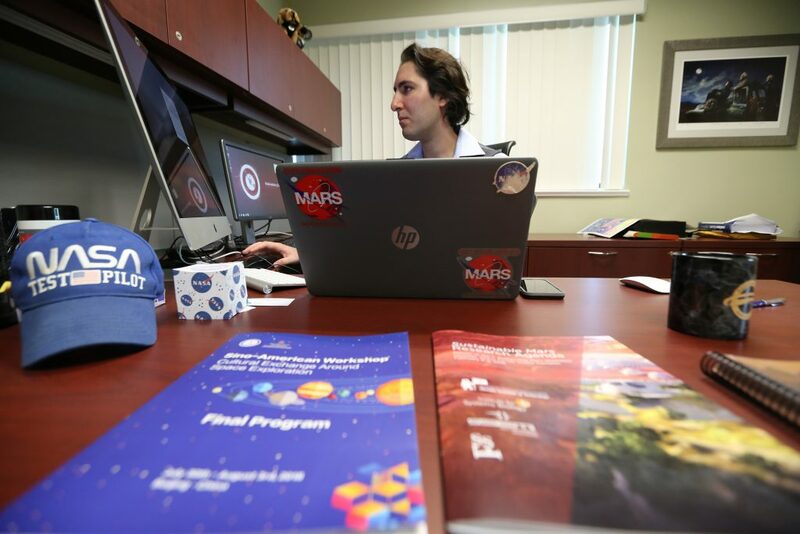 Ironically, many of those qualified students are already here at schools such as the University of Central Florida, Embry–Riddle Aeronautical University and the Florida Institute of Technology in Melbourne, where Shirshekar is a doctoral candidate. Florida Tech, in particular, prides itself in a student body that is about one-third international. The school has been ranked number one in the nation for its foreign student population by U.S. News and World Report for at least the past four years. Brain drain in this industry has happened before and with dire consequences. Most famously, rocket scientist Qian Xuesen, who immigrated to the U.S. in the 1930s to attend school, went on to become one of the founders of NASA’s famed Jet Propulsion Laboratory. His design for a winged space plane inspired the space shuttle. But in the 1950s, accused of being a communist sympathizer, he was deported to China. He went on to become the most central figure in the rise of the Chinese space program, currently one of NASA’s major competitors. Musk got his U.S. citizenship through an H-1B visa, one of the only ways that graduate-level international students can work in the country. To obtain the visa, which is awarded to 85,000 students annually, they must be sponsored by an employer. In fiscal years 2016 and 2017, students in the computer technology and engineering fields accounted for nearly 78 percent of all approved H-1B petitions, according to a report from U.S. Citizenship and Immigration Services. But while the demand for students trained in STEM fields is high, it hasn’t yet translated to a more aggressive approach by space companies to further relax ITAR regulations. Through the office of ranking member Florida Sen. Bill Nelson, the U.S. Senate Committee on Commerce, Science and Transportation, which oversees the space industry, said it’s not aware of any efforts by space companies to lobby the administration or Congress to further loosen restrictions that would allow them to hire more foreign nationals. He could leave the field altogether while he tries to get his green card and then waits at least another five years for his U.S. citizenship. Seward Forczyk, who has worked with several international students in the same predicament, said she worries that “by limiting our diversity, we are actually limiting our ability to lead.